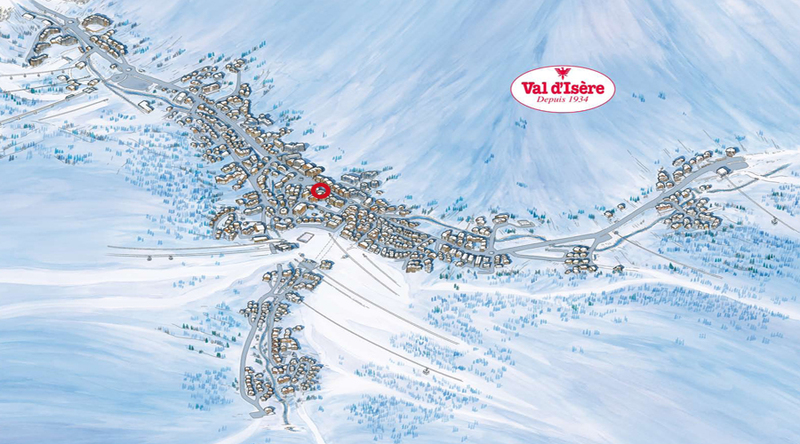 Located on the most beautiful avenue of the Val d'Isère resort, the 5-star Hotel and its restaurant Le Bistrot Avenue Lodge combine art of living, charm and modernity. This jewel of the snow has something to seduce: Restaurant, lounge bar, large living room area with fireplace, Pro-Shop, luxurious and refined rooms, spa, high-tech comfort, and spacious bathrooms. Our restaurant welcomes you in a chic and comfortable area, conducive to relaxation and indulgence. The cuisine is fine and applied. Do not miss to appreciate the traditional French cuisine enriched by a wine list with very good references. The restaurant, open to all, in the evening only, is adjacent to the hotel. Meeting point, the Lounge Bar of our hotel has a cozy atmosphere playing on volumes, lighting and trendy design. Come and relax with hot chocolate, tea on the way back from skiing or share a friendly moment with friends. In Val d'Isère, each room of our luxury hotel plays harmony and design, both in colors and furniture. The materials and colors evoke the omnipresent mountain. Luxurious and spacious, our 54 rooms have a deliciously fashionable atmosphere. Room amenities have been chosen with extreme care among the most innovative. Real place of relaxation, the bathrooms meet the criteria of relaxation and very high-end design. All these luxurious rooms benefit from all the services of the hotel to make the most of holidays in Val d'Isère ski resort. To extend your relaxation, in a felted and subdued atmosphere, the Institut ESTHEDERM spa, a well-being area of ​​the Avenue Lodge opens its doors. ESTHEDERM facial and body treatments, massages from all over the world, Ayurvedic treatment, plantar reflexology, slimming treatments are a promise of absolute relaxation of body and mind for an immediate and lasting well-being.